The sanitary fittings in the Memory collection bring back the atmosphere of traditional bathrooms, idealizing the sinuous forms of bygone times to create a new fusion between past and present. 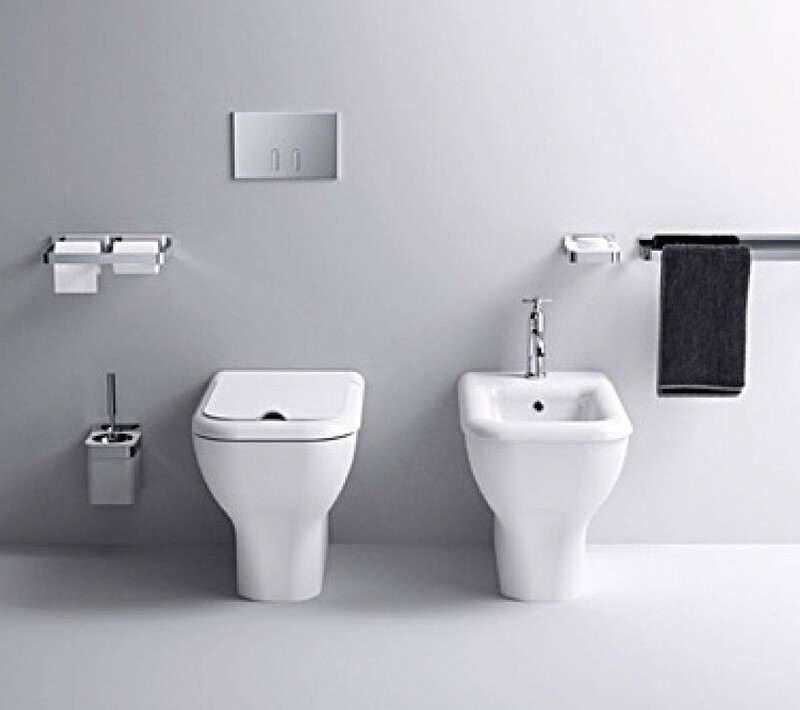 WC and bidet in white ceramics or in two colours with dark grey (RAL7021) or light grey (RAL7044) external surface, available in floor standing or wall mounted model. Floor mounted bidet 58.37 h42 cm MULTI . Back to wall installation. FISSAGGIOGHOST® Fixing kit included. Available in any of the matt Globo colours. Floor mounted pan with wall drain, turning into floor drain with the PVC pipe cod. VA079 supplied on demand. Back to wall installation. Drain 4 / 2,6 Lt. Fixing kit included. 4ALL is the collection “for everyone” which includes a huge variety of Items characterized by an advanced design and by a moderate price. 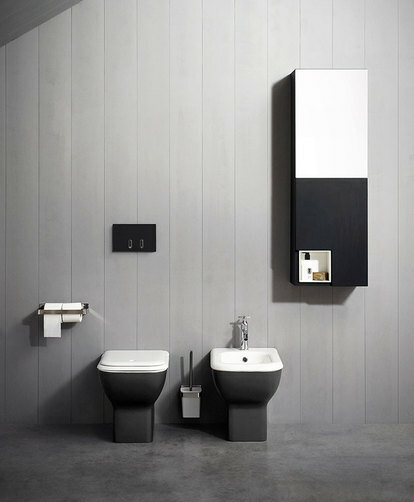 The basins have wide sinks and are characterized by thin edges. The wall hung Wc do not show any fixing hole. 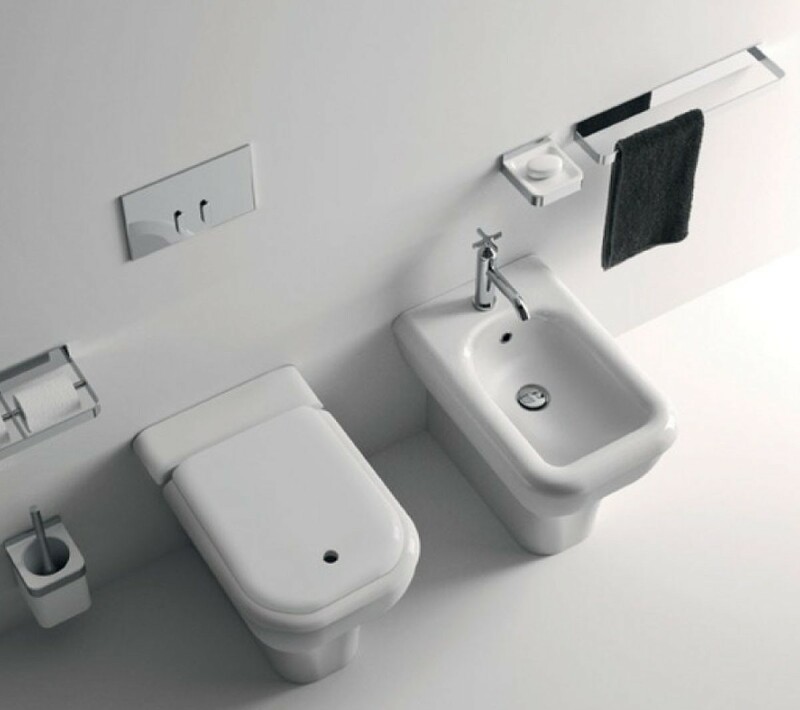 The floor mounted Wc (back to wall) can also be used with MULTI drain system. 4ALL is the collection “for everyone” which includes a huge variety of Items characterized by an advanced design and by a moderate price. The wall hung Wc do not show any fixing hole. The floor mounted Wc (back to wall) can also be used with MULTI drain system. Wall-hung bidet provided with lower hidden fixing system. Fixing kit included. Is a project which includes basins, furniture, mirrors, wcs and bidets available in the floormounted and wall-hung versions. These items “move” between art and industrial product, giving a sense of perpetual creative flow. The thinness of the edges, together with a new kind of design, represents the motive of the collection. Floor mounted bidet one hole. Adjustable water inlet / outlet MULTI. Back to wall installation. FISSAGGIOGHOST® fixing kit included.